The ArtStation Discover Chrome Extension has been a fantastic way for artists to get inspiration all the time, even when they’re not actively browsing ArtStation. 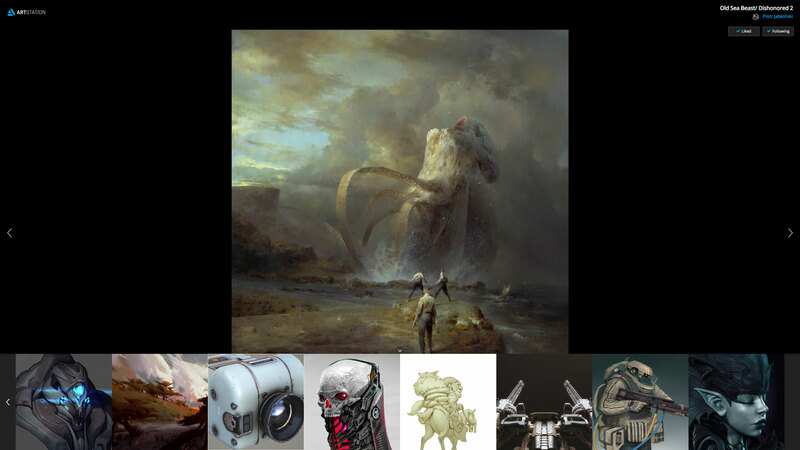 When opening a new browser tab, it will randomly load great artwork from ArtStation. You can even set it to slideshow mode so it automatically fades in and out pieces. One of the problems that we had before was that you would miss a piece and wonder “what was that amazing artwork I just saw! ?” We now have a History drawer that you can slide open and look at all the artwork that the extension had loaded. You can now Like and Follow from within the extension. As you see artwork, just click Like to like the artwork, and Follow to follow the artist. You just need to be signed in on the main ArtStation website. Get the ArtStation Discover Chrome Extension.